New Delhi: Uniform Civil Code (UCC) will not be brought through the back door and without a consensus, says Information and Broadcasting Minister M Venkaiah Naidu who rejects the charge that contentious issues have been raked up by BJP to polarise elections, especially in Uttar Pradesh. Issues like triple talaq, civil code and Ram temple will not be used by BJP for political mileage in the upcoming elections, says the Minister who asserts that they will be fought on development agenda. Holding that such crucial issues should not be looked through the prism of electoral benefit, the Chief Spokesperson of the government also rejects opposition criticism that surgical strikes were being politicised. "The government does not consider it (triple talaq) as a religious matter. It is a question of gender sensitivity. It is wrong to say that we are interfering in Muslim issues. "The same Indian Parliament, the same political system had brought Hindu Code Bill, Divorce Act, banning Hindu Marriage Act, banning dowry and Sati practice, all these things are done by Indian Parliament," Naidu told PTI in an interview. 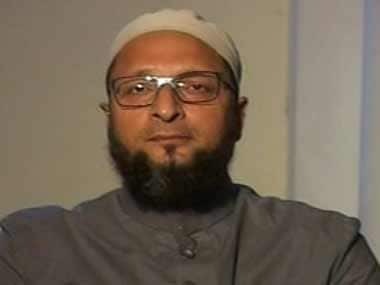 Making it clear that broad consensus will be required for bringing Uniform Civil Code, he said the allegations that Triple Talaq is a backdoor entry for the UCC was unjustified. "You cannot have a Uniform Civil Code without a broad consensus. You have to work and move in that direction," he said hoping that the Supreme Court will come out with the right decision on the issue of triple talaq. Naidu said these sensitive issues should not be linked to polls as the elections are like festivals in India which keep coming now and then. 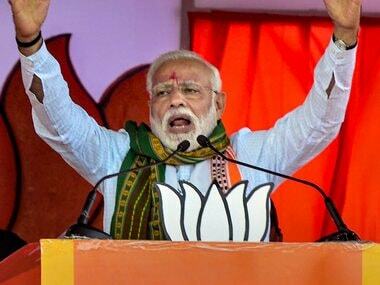 Defending the government affidavit in the Supreme Court on triple talaq issue, he said nobody then said it (Sati) was a Hindu practice that government was interfering in that. "Somebody might have said it also. But in collective wisdom, the entire country has moved further. We have reformed ourselves. Similarly, when the practice is going on which is discriminatory, which is doing injustice to women, we think it should end," Naidu said. He said it was Muslim women and organisations which were demanding an end of triple talaq who had gone to the Supreme Court. Referring to Articles 14 and 15 of the Constitution that speaks against discrimination, the Minister said, "The Government of India wants every religion, every personal law to be in accordance with that. And if the society transforms itself, it's always better." Naidu said divesting a woman by simply, saying talaq three times was totally against the principles of natural justice and the practice must end. "That's what we have said. 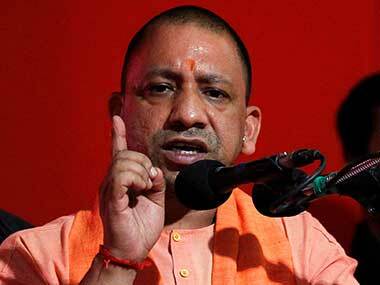 How is it connected with UP elections," he said. Replying to a raft of questions on Ram temple issue, Naidu said, "People of India want a brilliant temple at the birth place of Rama but how do you go about it. You have to have an agreement between contending parties or you will have to abide by the legal verdict which is taking too long. 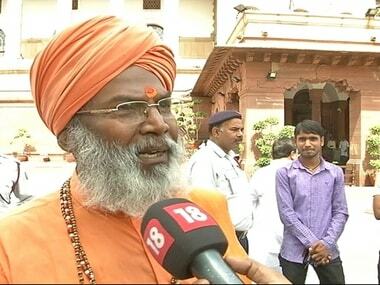 He maintained that as far as the government is concerned, government and political parties have no role in constructing a temple. "You can facilitate or remove obstructions or create obstructions like what Mulayamji had done earlier," he said. The Minister said as far as government and BJP are concerned UP elections are not going to be fought on the Rama Janambhoomi or common civil code or triple talaq. "They are going to be fought on the developmental issue." about them, then it is said Ram is remembered because of UP elections." Naidu said BJP was going to focus more on development and good governance in the campaign for UP polls, adding it does not mean that the party has given up on issues like Uniform Civil Code and Rama Janambhoomi. 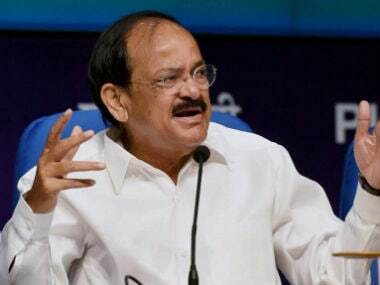 On criticism by the Opposition parties of BJP trying to take political mileage from cross-LoC surgical strikes, Naidu reminded Congress of using Atal Bihari Vajpayee's praise of then Prime Minister Indira Gandhi as Durga after the 1971 Indo-Pak war, for political gains. Naidu said leaders of the political parties were briefed and their queries were replied to by the army during an all-party meeting on surgical strikes and all of them had gone back home happily. But raising questions on the strikes and seeking proof were "subsequent thoughts". On the surgical strikes, he said details of such nature are not divulged in national interests and they are not even questioned. Asked about Rahul Gandhi's 'Khoon ki dalali' comment, Naidu called it as an "immature" remark. "Whoever made the comment, it was an injustice to the country, it was an injustice to himself. After the comment was made, he became unpopular. People have answered it," said Naidu. Asked about allegations that BJP has a role in the rift in the Samajwadi Party, Naidu said it has become fashionable for some people to blame the ruling party or RSS for anything. "Good that they have not blamed RSS. It is an internal family problem. They are fighting among themselves openly. Where is BJP's hand in it," he asked. Expressing confidence that BJP will emerge victorious in the assembly polls, he blamed SP for ruining the state. "We do not believe in fishing in troubled waters we believe in eating fish," he said in a lighter vein. Asked who is BJP's number one rival in UP, he said SP, BSP and Congress were in the battle. He also compared the fight between UP CM Akhilesh and his uncle Shivpal as a semi- final, saying "Let's see who comes out victorious."